Samsung has been working on flexible displays for quite some time now and the Galaxy Note Edge and S6 edge are a definite testament to its huge success. But, flexible is one thing, while foldable opens up a whole new array of challenges and possibilities. Samsung has been working hard tackling the latter and we have already seen some impressive prototypes in action. Now, according to some industry sources, the time might have finally come to reap the benefits from all the hard work. 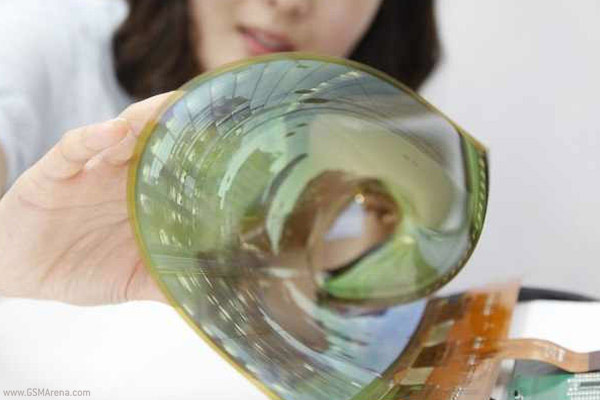 If said rumors are true, Samsung might be on the verge of creating the world's first foldable-display phone. The project in question is codenamed 'V' or 'Valley' and that is pretty much all we know about it so far. It is reportedly in very early stages and could be scraped at any moment, if it hits a snag. But, the valley metaphor is quite indicative of what the Korean tech giant is trying to achieve. It is still unclear whether Samsung is aiming for one fluent screen all the way, or rather two intertwined, but still flexible screens. Either way, there has been a lot of talk about advancements in this area, so, perhaps, the story isn't all that far-fetched.